A down-payment corresponding to 30% of the total cost of the stay is due at the moment the reservation is confirmed. The balance is paid on arrival. Cash, ATM-card or bank cards are welcome. The down-payment shall be refunded only on cancellations up to 45 days of arrival date. In accordance with applicable Italian law, Ragoncino is entitled to terminate the contract immediately and without forewarning should any guest violate the general conditions or any aspect of the house rules. All payable charges are due at this moment. There is no entitlement to refunds for payments already made. 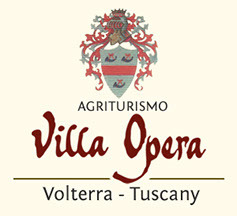 In the event of disagreement, Volterra shall be the legal forum. Arriving guests will be handed over the apartment in best order and with its full complement of equipment. The client will verify their condition. Upon departure, the client will return the apartment and the equipment in the same condition. Should losses or damages be ascertained, the client will be charged in full for the refurbishment. The client will receive keys to the apartment – to be returned prior to departure. Losses must be notified to the Management at once. Replacing the key costs euro 100,00 and will be charged in full to the client. Any damage to the structure (interior or exterior) as well as damage or loss of equipment pertaining to the apartment which has been rented must be notified to the Management at once. After due assessment, the client will be charged the full cost of repair or replacement. Payment is due immediately. Management is not liable for any accident or its consequences. In conformity with safety regulations, the swimming pool is unmonitored. Adults must supervise minors in their charge. Management is not liable for loss, damage or theft of client’s property left in the apartment or unattended. In particular, all personal objects in the common areas must be overseen. Management is not liable for damages to or loss of vehicles parked on the premises. • The office is open every day from 08.30 to 12.30 hours during the high season. When calling from abroad, please respect this schedule. • Check-in: only by prior arrangement: from 16.00 hours at the earliest but no later than 20.00 hours. Guests are in all instances required to contact the Management by email (await acknowledgment) or telephone no later than 24 hours before arrival to establish specifics. • Should you arrive early, you may have to wait. In the event of late arrivals, we’ll leave the apartment key in a safety box. We will provide guests with the access code. Call one hour before arrival. Please notify immediately and in good time any unforeseen alterations in the schedule. Such contingencies do not justify refunds. • Each guest (including minors) will provide a valid and current piece of identification (passport, ID-card, driving license). It will be the Management’s care to forward at once the personal data to the Police Authorities. Non-compliance by the client is a violation of applicable Italian law. We would be forced to ask you to leave the premises. • Not registered persons are forbidden by law from being on the premises. • Check-out: Between 08.00 and 10.00 am. This will allow the personnel to put the apartment into proper order for the next party. • Apartments shall be handed back in proper conditions. We shall treat all personal in accordance with legal privacy obligations, as set out in the applicable law N° 675/2006 on privacy. We shall do our best to make your stay enjoyable and relaxing. We shall aid you in discovering lesser known or surprising corners of the Volterra region and Tuscany. To make living together an enjoyable experience, respect these simple rules. Ragoncino is a small structure. While our guests have plenty of freedom, they also have the responsibility to contribute actively to the success of the stay for everyone. We cannot baby-sit or play peacemaker among guests. Guests are self-reliant and respect others. Should difficulties arise, feel free to broach the subject politely, possibly with the help of a some of our wine. Guests shall be respectful of others at all times, both inside the structure and outside. They will avoid behaviors, games, noises and the use of equipment which may disturb others. • Enjoy the swimming pool - without annoying others. • Between 23.00 hours and 08.00 in the morning, observe absolute quiet. In the early afternoon, people may want to rest. Do not disturb them. • SMOKING IS STRICTLY FORBIDDEN inside the premises. Outside, use and empty the ashtrays. By sending this message you are acknowledging that you have read the General Conditions and accept them.